There are so many new shopping centres in Singapore recently. But if someone wants to get sports goods, there's still one place they will go to. Queensway Shopping Centre. 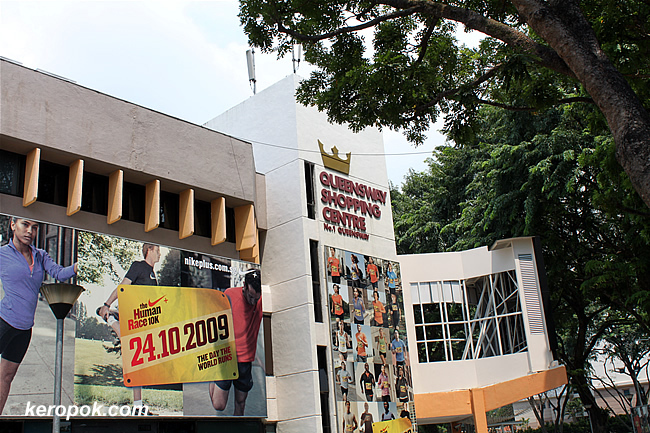 It seems to be stuck in people's mind that QSC = Sports wear mall. Oh yes, QSC is also known as the photocopy centre! LOL..
is this the one near nanyang univ? i remember taking pictures of it and passed by a particaular mall that was all copy centres! Hmm ... used to hang out at the aircon coffee houses when I was a teenager, pretending to be an adult - haha. True abt the photo-copy shops - dreadful sidelines for alot of students making an extra buck ! The over-exposure to the scanning process must be bad for their health ?! no, this is near Ikea Alexandra. What has happened to all your LPs now? Converted into MP3s?